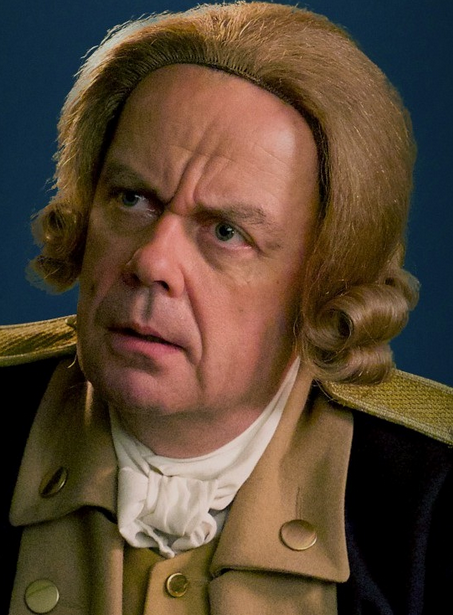 Continued observations from the AMC Series Turn on Sunday nights. We are introduced to our secret American traitor and he turns out to be somewhat infamous Charles Lee. Lee, while actually not a traitor historically speaking (as far as we know), nonetheless was a good choice for the writers of TURN. Lee’s actions during The Revolution were at best not helpful, and a worst, downright subversive. A former British officer turned Revolutionary, Charles Lee was captured by the British (by Banastre Tarleton actually) and eventually returned in a prisoner exchange. From there his career takes a turn for the worse as he steps in at the last moment in the battle of Monmouth and pulls rank over Lafayette to take command of the American army. A disaster ensues, ending with a legendary confrontation with an irate Washington. This yet untold confrontation offers a delightful chance for TV drama, as it is claimed that Washington went on a cursing spree of epic proportions. In another storyline, our protagonists Ben Tallmadge and Caleb Brewster cross the Delaware on the way to Trenton thanks to the intel they smuggled to Washington. 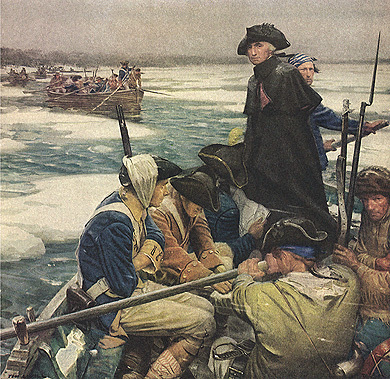 As they cross however, Ben takes an unfortunate plunge into the frozen river of limited production budget and we miss the battle of Trenton while Ben recovers from hypothermia over the next three days. We get a glimpse of a larger British force as it falls for an American campsite ruse, but we are also left with the sad conclusion that a sizable battle is simply beyond the scope and budget of this series. The technology is certainly here in 2014, but it may be a while before TV and Hollywood look past comic books and goblins to portray a substantial 18th century battle. I heard a while back that Spielberg is interested in doing a series on Napoleon. If so, then this could really be the epic portrayal that does the reality of war during this era justice. This is not to say that TURN comes across as a low budget TV series. They do a fantastic job. It is authentic and aesthetically beautiful. The details around costuming and set lighting is fantastic, even though details such as reloading a musket have been left out. Overall TURN gets more interesting as the characters get caught up in actual historcial happenings. Perhaps this is simply one armchair historians bias, but the plotlines surrounding forbidden romance and tombstone cannon barriers isn’t as compelling. The more we sink into the historically correcte history of the Revoltuion, the better the series holds water. Next we will turn to episodes 6 and 7 and I come to the conclusion that the writers of TURN are reading my mind. Things get really good! Great observations, and well stated! Yes thanks for reminding me, I have ‘Almost a Miracle’ on the cue. I think I’ll start it today. As far as publicists, I was going to touch on this on my next TURN post, but I think one of the greatest gifts Washington had was an eye for talent. As someone who has been in management can attest, the trait is often the critical trait required for success.